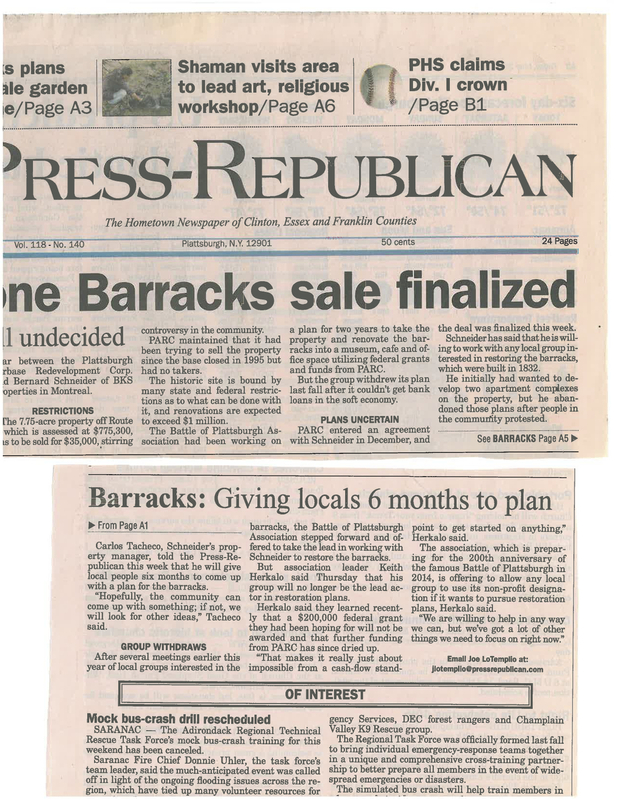 Since the closing of the Plattsburgh Air Force Base in 1995, the federally-owned property has been systematically sold off or given away in hundreds of different parcels to private individuals, businesses, nonprofit organizations, and to the City of Plattsburgh. In 2010, the Old Stone Barracks parcel was sold to a Montreal developer who then announced plans to fully develop the seven acre site with 60 apartment units in two major buildings each with a foot print of about 25,000 square feet. 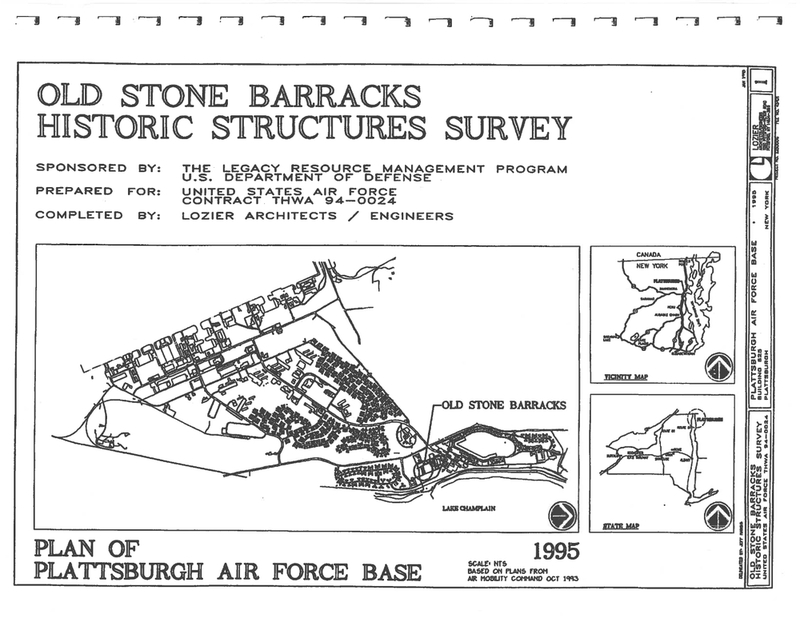 The plan did not specifically include the restoration of the Old Stone Barracks but it did call for more than two acres of paved area for parking and left open the possibility of developing another portion of the site for commercial purposes. The public reacted swiftly and passionately in opposition to this plan and the developer responded by retracting his plans and expressing his openness to working with others to develop plans for the site that would incorporate the community's interest in seeing the building restored and used for public purposes. After more than a year of exploring various partnership ideas, none of which bore fruit, the owner decided to put the property on the open market. 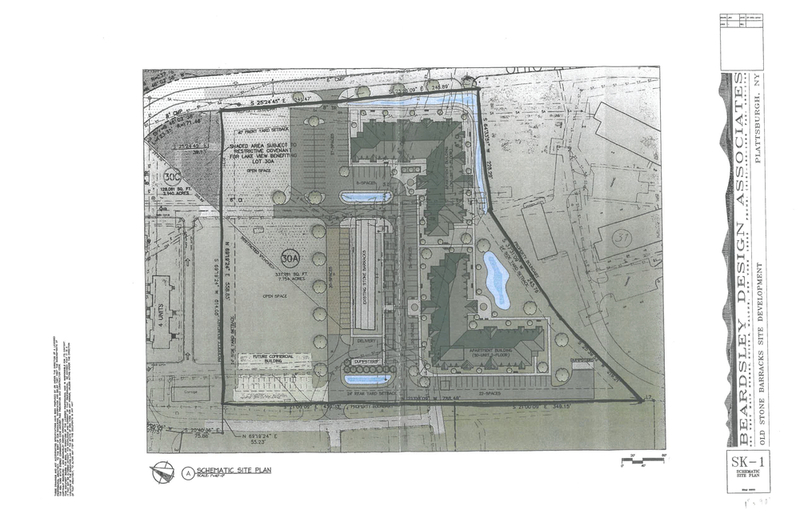 Even though this initial development plan did not come to fruition, it raised the specter that the property could be developed inappropriately. With the property back on the market, this possibility was very real again.